This year’s winner of the national final is the folk pop duo Naviband. It’s their second attempt as they have already tried it the year before with the song “Heta ziamlia”. This time it’s an even more traditional song, sung in the native language Belorussian for the first time. The two singers Ksenia Zhuk (25) and Artem Lukyanenko (24) have founded the band in the year 2013. By now they have released three albums. The singers describe their style as indie-acoustic, all songs do have a Belorussian touch. They have received several awards and toured extensively in Central and Eastern Europe. In 2016, they presented the official anthem of the Belarusian national football team. The song “Historyja majho zyccia” can be translated as “Story Of My Life” is written by Artem. The entry is about the belief in the good things of life and to celebrate together. There is a real sing along effect as there are many Hey! Hey! Hay-yay-yay-a-ho’s. Judged by the appearance at the national final, the video clip and live performances, the duo knows how to create a good atmosphere, with naturalness and authenticity. 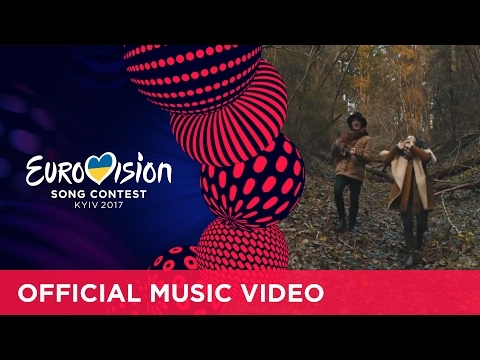 Combined with the native language and traditional clothes this entry could be a surprise in Kiev, as it different from the other pop songs and ballads. For Belarus it will be the 14th time in the Eurovision Song Contest. But for many TV viewers who are not watching Semi Finals on a regular basis, it will be irritating as Belarus has only been four times in the Grand Final so far in the past 13 years. The debut entry in 2004 “My Galileo” by Aleksandra & Konstantin made a 19th place but in the Semi Final only. In the short history of Belarus in the ESC there was one Top10 entry – the 6th place – “Work Your Magic” by Koldun in 2007. This song has been composed by the famous Russian ESC guru Philip Kirkorov. This makes a realistic chance of 31% for Belarus to reach the Grand Final and a chance of 8% for a top 10 position. The Belarussian entries are were mainly supported with points from the other former ex-Soviet countries. Even the composers come from the neighbour countries such as Philip Kirkorov from Russia. Maybe the style of the songs did not meet the taste of the Europeans so well, even if the composers try to make the songs as modern as possible. Last year Belarus had a very interesting and outstanding stage performance by Ivan with “Help You Fly”, which did not make it into the Grand Final in Stockholm. The last time Belarus could make it into the final was 2014 with “Cheesecake” by Teo.